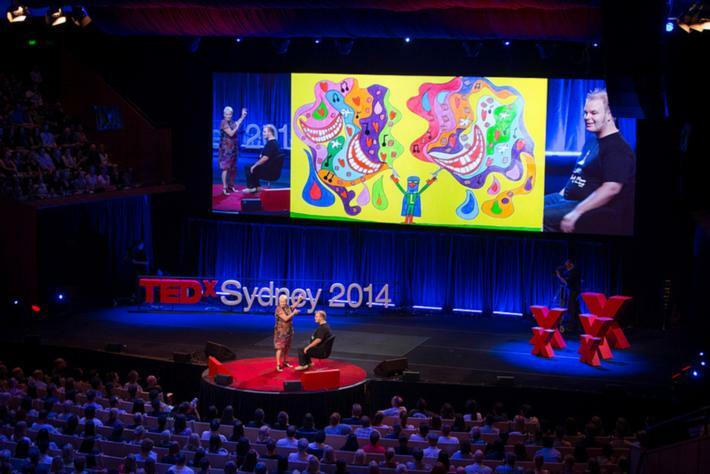 One of TEDxSydney’s most popular talks to date is by the late, great Stella Young: teacher, comedian, journalist and activist. Her talk has reached more than 1,167,000 viewers and understandably so. 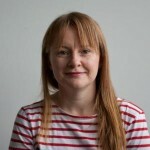 With her characteristic warmth and wit, Stella shared her vision of the kind of world that she wanted to live in; a world where achievements were valued on their own merits, not because they had been achieved by someone with a disability. Stella wanted to see a world where disability was ‘unexceptional’, where it would be unremarkable to have a person with disability as your teacher, your doctor or your manicurist. Stella’s message was clear: We need to rethink the ways we view and talk about disability. Two men who embody Stella’s vision are Ron McCallum AO and Tim Sharp, both of whom gave sensational talks at TEDxSydney in 2013 and 2014 respectively. Ron McCallum was the Dean of the Faculty of Law at the University of Sydney from 2002 to 2007. He was elected Chair of the United Nations Committee on the Rights of Persons with Disabilities in 2010. He is a husband, father and lover of Harry Potter books. He has also been blind since birth. In Ron’s talk he shares his story about how technology, great inventors and volunteers have given him access to the world of words, and he wants all blind people to have the same access to the written word, so that they can have ‘a level playing field’ to participate in the world around them. Tim Sharp, who has autism, is the creator of Laser Beak Man (laserbeakman.com), a superhero with a wicked sense of humour. Tim is an internationally sought-after artist who has exhibited in Washington, New York, Nashville, Brisbane and Sydney. Laser Beak Man has had its own animated eight-episode series aired in Australia, Asia and New Zealand, and is currently being turned into a theatre production due to hit New York later this year. In 2014, Tim and his mum Judy (pictured) wowed the audience with their story, and their advocacy for better understanding and inclusion of people with autism. Acceptance, accessibility, participation and inclusion. These are all key in the stories that Stella, Ron and Tim (and his mum) tell of their lives. These are stories we need to tell about disability. These are stories we need to hear. Attitude Foundation is an organisation committed to telling these kinds of stories. Their goal is to give voice to the 4 million Australians with disability, and to change attitudes and overcome prejudices around disability. Over the next year they will be pairing up with Attitude Pictures to make 26 documentaries for the ABC, which will then become part of an international series. These documentaries will be similar to Attitude Live’s New Zealand series, which has been running in that country for 10 years, but will have a uniquely Australian feel. Foundation Chair Graeme Innes, former Human Rights Commissioner and lawyer who is blind, said: “We know that changing attitudes changes lives. I got my first job because Dave changed his attitude about whether I, as a person who is blind, could work as a lawyer. Be part of the conversation about rethinking disability.